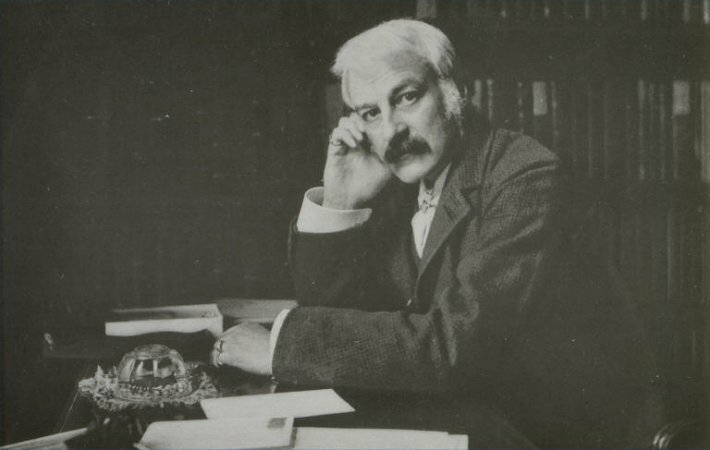 On Thursday, 1 November 2012, a day conference dedicated to Andrew Lang will be held in Upper College Hall, St Salvator’s Quad, University of St Andrews. Lang was a student at St Andrews, and resident of St Leonard’s Hall from 1861-1863 and he returned to his favourite town often throughout his life. He was awarded an honourary LL.D. by the University in 1885 and in 1888 he gave the first Gifford Lecture at St Andrews. Although he died in 1912 in Banchory, he was buried in the cathedral grounds at St Andrews. A portrait of author Andrew Lang, c. 1900 (from the St Andrews Photographic Collection, GPS-LangA-7). Following the day lecture, the Andrew Lang Lecture will be delivered by Jane Yolen, distinguished American author, entitled “‘Folklore v Fakelore, an Imagined Conversation with Andrew Lang” at 5.30 pm in Lower College Hall, University of St Andrews. Jane Yolen is an award-winning author of children’s books, fantasy, and science fiction, including Owl Moon (1987), The Devil’s Arithmetic (1988), and How Do Dinosaurs Say Goodnight? (2000). She is also a poet, a teacher of writing and literature, and a reviewer of children’s literature. The Andrew Lang Lectureship was founded in 1926 by a bequest by Sir Peter Redford Scott Lang, Regius Professor of Mathematics, 1879-1921. The Lecturer is appointed by the University Court for one year and delivers at least one lecture on Andrew Lang and his work or on one of the subjects on which he wrote. The cost of the day conference is £30 (£20 unwaged) and includes tea/coffee and a sandwich lunch. Places at the conference may be booked at the University’s Online Shop where further details of the programme are available. Booking is not required for the Andrew Lang lecture, delivered by Jane Yolen.